Dr. Laura Boutique Closing Tonight December 6 at Midnight! Your response to Dr. Laura’s Holiday Boutique has been incredible. Thanks to you, we’ve raised over $34,000 through your purchase of glass and jewelry items as well as over $9,000 in donations so Operation Family Fund can help our severely wounded veterans who have returned from service in Iraq and Afghanistan. If you’ve been putting off buying that one-of-a-kind handcrafted item, be aware my Holiday Boutique will be CLOSING TONIGHT at11:59pm PT. And don’t forget, as a Dr. Laura Family member, with every purchase, you’ll receive a custom-made glass pendant worth $125. https://www.operationfamilyfund.org/wp-content/uploads/2014/11/dr-laura.png 175 242 Mike Cash https://operationfamilyfund.org/wp-content/uploads/2017/01/OFF-Blue-Angels-Logo-300x243.png Mike Cash2013-12-06 19:25:062017-02-07 08:40:03Dr. Laura Boutique Closing Tonight December 6 at Midnight! Founder and CEO Mike Cash to appear on Dr. Laura today. 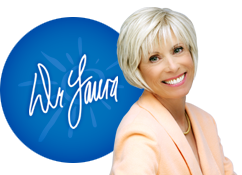 Dr. Laura SiriusXM Channel 106 interview Founder and CEO Mike Cash to appear on Dr. Laura today.